Barbara Crowhurst, a retail business coach from Retail Makeover , maintains the number 1 marketing tool for any shop is store design. 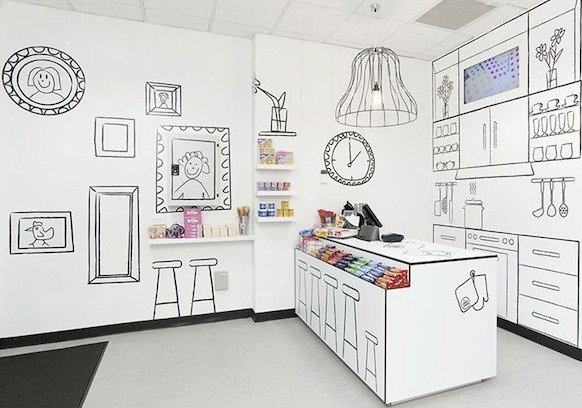 Easily implemented, try any one of these 6 inexpensive store design tips. Crowhurst asked the key question, “Can prospective customers look at your sign and tell exactly what you sell?” She added that changing the name of your shop isn’t what’s necessary. If shoppers can’t tell what you sell by your name, add a 5 – 7 word tagline that quickly identifies you. Bold, colorful window displays that are changed at least twice a month speak volumes. Your windows say your shop is busy, professional and up to date. Ask shoppers “How do we have the pleasure of your company today?” You’ll find out if your window displays are effective in bringing new customers through the door. Regardless of whether you own your building or rent, the color of your shop’s walls should change at least twice a year to reflect the current color trends. Pick 1 or 2 focal walls to add bold trendy colors, leaving the rest of the walls neutral. A cheap way to add color is to buy canvasses or canvas drop cloths from your local discount or dollar store and paint them the latest popular color. Believe it or not, your floor and ceiling speak volumes about the safety of your shop and your professionalism. Is your carpet worn and dirty? Does it lay flat? Is the ceiling clean and fresh or are you missing ceiling tiles? If so, negotiations with the landlord are a must for your success.